(JTA) — Belgium’s main watchdog on anti-Semitism accused a local cartoonist who was honored at Iran’s Holocaust mockery festival of drawing a Nazi-like caricature of White House adviser Stephen Miller. Coupled with the “Influencer” hashtag and in view of “previous anti-Semitic works by Descheemaeker, this is quite clearly an anti-Semitic caricature,” Rubinfeld said. Descheemaeker, who in 2016 was named “cultural ambassador” of his municipality of Torhout, did not reply to JTA’s requests for a comment. The City Council there also did not reply to repeated queries. Descheemaeker’s previous works include a caricature featuring a stereotypical Orthodox Jew waiting to bludgeon an Arab mother and her baby with a giant Star of David while the boy holds a balloon emblazoned with a dove holding an olive branch. 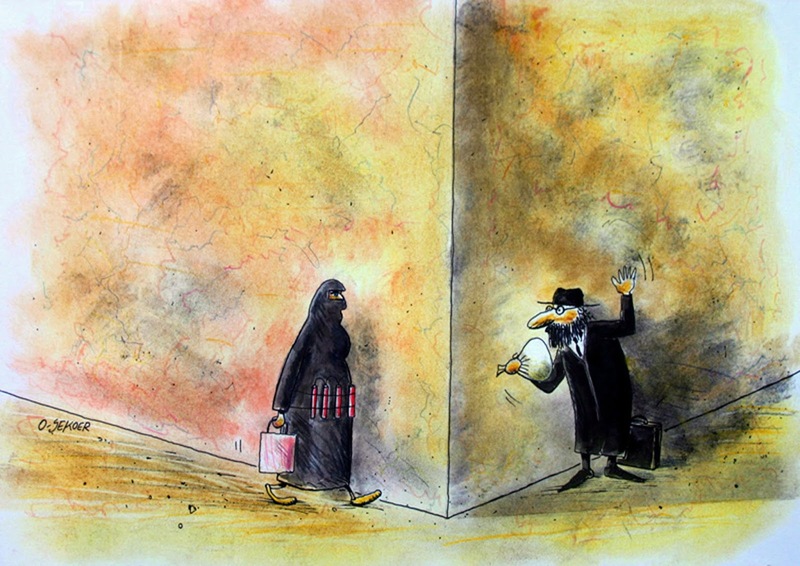 Another one features an Orthodox Jew waiting around a corner for a Muslim woman who wears an explosive vest, perhaps to jolt her into triggering the explosives. 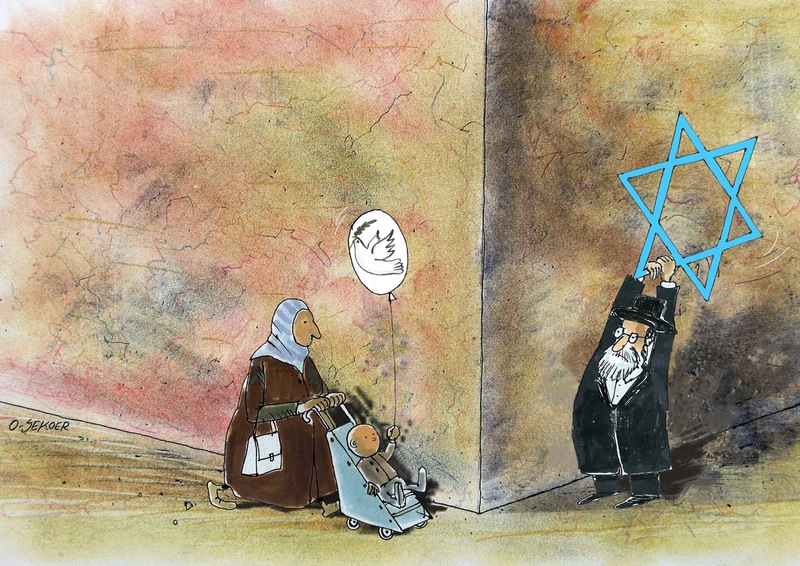 He won the prize in Tehran for a caricature featuring the words “Arbeit Macht Frei” atop a wall representing Israel’s security barrier against Palestinian terrorists. The German-language phrase, which means “work sets you free,” appeared on a gate of the Birkenau-Auschwitz Nazi death camp in Poland. Descheemaeker is a retired teacher from the Sint-Jozefs Institute high school in Torhout. A member of the school’s faculty told a Jewish weekly in Belgium in 2016 that the institution is proud of his winning the award, though the principal of that institution later said the school does not share Descheemaeker’s views. The principal said Descheemaeker produced events to preserve the Holocaust’s memory for the school. The post Belgian watchdog slams artist’s ‘anti-Semitic’ caricature of Stephen Miller appeared first on Jewish Telegraphic Agency. This story "‘Anti-Semitic’ Caricature Of Stephen Miller Slammed By Watchdog" was written by JTA.